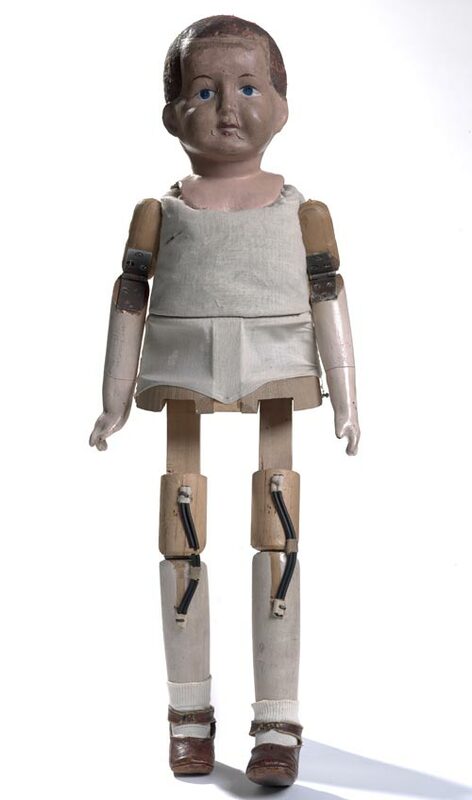 This ingenious wooden walking doll, based on a US design, was made around 1920 at a Returned Services Rehabilitation Centre. A national network of these centres provided work and rehabilitation for injured veterans of the First World War. In the 1920s 'Christie the walking doll' regularly strolled down Whāngārei's main street with her proud owner, young Frances de Lisle.